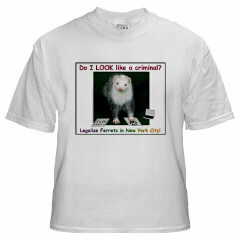 Buy stuff and support NYC ferret legalization efforts! and earn money for Ferret Legalization Efforts in NYC! Every time you shop at The Ferret Store.Com, Sharper Image, and hundreds of other stores online (even Ebay! ), those stores will donate a percentage of the money you spend to NYCFerrets.Com.